If you would like to take care of your health in a natural, holistic and pro-active way then you could be in the right place. I help individuals who want to enhance their health and wellbeing so that they can live a full and active life and go on to age well. Working with natural remedies, physical therapy if required and sound dietary advice I aim to listen, inspire and encourage clients to prioritise and optimise their health in the fast-paced world in which we live. I have been a practicing homeopath since graduating from the prestigious Allen College in 2003 and a Bowen Therapist since 2014. I work with clients of all ages suffering from a diverse range of complaints, and tailor treatment to each individual. However, my practice has evolved over the years and I have developed a special interest in inflammatory conditions associated with aging. As such I now typically work with men and women aged 45-65 who are suffering with complaints such as arthritis and IBS. I help them resolve or minimise their symptoms so that they look and feel their best and can go on to lead a full, healthy and active life. My clinic is based in Colchester, Essex and on-road parking with no restrictions is available directly outside. My approach is holistic and all aspects of a patient's personality and lifestyle are taken into account. I work closely with each individual to support them throughout their treatment and to ensure they get the best possible outcome. Particular emphases are placed on the importance of a natural, well-balanced and wholesome diet, proper hydration and minimising reliance on over-the-counter medication. I also have a specific interest in skin issues and over the years I have successfully treated many cases of eczema, psoriasis, acne and rosacea. Our skin is a reflection of our inner health and never is this more obvious than when we grow older. I produce my own range of Rather Lovely organic skincare and natural home fragrancing products which are toxin and chemical free and specially formulated to enhance our natural looks and overall wellbeing. If you are motivated to improve your health in a natural and sustainable way then I would love to hear from you. Full details of my fees are set out on my Treatments & Charges Page so take a look there first. Then if you are interested in discussing your options further please use the 'Book Now' button below to arrange a free 15 minute telephone assessment. 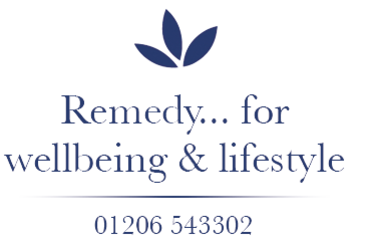 I give talks on natural health and wellbeing to both large businesses and small groups of individuals and you are welcome to Contact me for further details. Or you can sign up for my mailing list for ongoing healthy lifestyle advice. Rather Lovely products contain minimal ingredients making them suitable for even the most sensitive skin. Changing your way of eating to a wholefood mostly plant-based diet can help revolutionise your health. Abel & Cole are one of the leading organic box scheme suppliers in the country. They deliver fruit, vegetable, recipe boxes and organic produce to thousands of homes every week that nourish and inspire. What are you waiting for? As a homeopath, nutritional supplements do not form a major part of my prescribing. However, diets have changed greatly in recent years and I am increasingly finding that a lack of essential nutrients is one of the most common maintaining causes in acute-recurrent and chronic, degenerative diseases. Cytoplan Ltd an independent British company wholly owned by a charitable foundation. Cytoplan are genuinely committed to the research and development of the highest quality supplements with the best ingredients and minimal fillers, binders and flow agents. In addition, they offer a no quibble, money-back guarantee if their products fail to please. Their supplements are produced in a 'Wholefood' or 'Food State' bio-effective form which I have found to be particularly effective. Gousto is the No 1 Ingredients Delivery Service Voted by The Guardian. This is the simple way to choose healthy, delicious meals every week and have the ingredients delivered to your door. The Plant-based selection is what I recommend to my clients to help them get their health back on track.